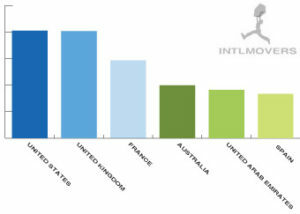 Making an international move means that shipping company quotes are high on your priority list. Intlmovers makes this easy for you by getting up to six customized quotes when you submit just a single request below. The drop down menu lets you choose where you need to ship from and ship to, and the system them automatically matches your selection with the right shipping companies. Your shipping company quotes are sent directly to you! With the free online quotation comparison service of Intlmovers, you can save time and money by comparing shipping company quotes. It is quick and easy to use, and because the shipping companies will respond straight to your inbox, you get quick responses too. After comparing quotes, you can easily see the different services and related prices and choose the best shipping company for your needs! Shipping companies invest in resources to offer you an efficient moving service for international destinations across the globe. Regardless of whether you are moving across the continent or intercontinental, you can feel confident that international shipping companies will help you get there with your goods in the best possible way. The international shipping companies have years of experience with global moves . You can avoid the stress by letting the shipping companies manage the hard work. It is never a simple task of throwing a few things together prior to an international move, which is why a shipping company can really help you. Moving yourself locally is a completely different situation to a move across the world. A shipping company can provide help with a number of things. The task of getting your goods from the starting location to the final destination involves a number of steps. 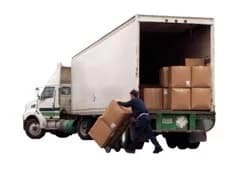 Depending on where you are moving to and from, your goods can be packed in to a truck or a container from your door. This may also be arranged at another central location, if you have a shared container this is often the case. As containers are extremely large, the sharing of containers is quite common and will help reduce your shipping costs. The shipment then needs to be taken to the departure port for loading on to the ship. There is a lot of administration that goes in to ensure that goods are correctly managed and processed, which includes the tracking, insurance, inventory lists and bill of lading, as well as other customs declarations that are necessary. Having a wealth of experience in international shipping is just one of the benefits of recruiting one of the shipping companies that you find here on Intlmovers. Experience counts for a lot, and they make use of their international networks to offer you a world class service to get your goods to your new home, your new country, in an efficient and timely manner. Receiving up to six shipping company quotes in a single request is a great time saving exercise. You receive replies directly to your email inbox and you can start reviewing your options without any expectations or pressure. All quotes are provided by the international shipping companies free of charge and completely obligation free, so there is no reason not to compare shipping company quotes!